Are you struggling with depression, anxiety, addiction, trauma, ptsd, a lack of life purpose, afraid to confront your own mortality, looking for a tangible spiritual experience, or would like to go deeper into your own personal work? If the answer is yes, then this retreat is for you. We have combined ancient Amazonian wisdom and Ayahuasca, with effective therapeutic healing modalities that are designed to transmute these conditions in service to your own personal development, empowering you to create a Life you Love. "As plant medicine has recently become trendy, it can be hard to separate the real practitioners from the fakes. Scott and Caro are the real deal. All of their choices, from the retreat locations to the healers to the supplemental workshops, are thoughtfully chosen. This can be life-changing work, but it's also challenging, emotionally and physically. You must have facilitators you can trust in order to get the most out of your experience, and I trust Scott and Caro completely." How will we Serve you? This retreat is designed for those who are looking to go deeper within themselves by exploring the relationship between the subconscious and conscious mind, which in turn can shed light on deeply engrained cyclical thought and behavioral patterns that may not be currently serving you. The retreat location and the four medicine ceremony format, combined with the therapeutic healing modalities offered will afford you the opportunity to experience profound healing on the mental, emotional, physical and spiritual levels. The result of which will leave you feeling happy, healthy, whole and inspired to create a life you love. The retreat center, Munay Sonqo (meaning: “Love from the ancient forest” in Quechua)– is located in the heart of the Sacred Valley of the Incas. It is a location which fosters a balance of safety and nourishment, allowing retreat participants to go deep into their personal healing work while also having the necessary space and tranquility to relax and integrate. You will have your own tranquil room to share with another or we can offer private room accommodations (for a supplementary fee). Each guest room is comfortably appointed, inviting, and reflective of the Peruvian Andean culture. Thanks to the warm staff, the entire retreat center embodies love, with careful attention paid to even the smallest of details to ensure you feel right at home. We are proud to work with master healers of the Shipibo tradition who come from a long lineage of wisdom, apprenticeship and mastery of powerful Amazonian plants. We choose to work with a male and a female healer as we find that this is a deeply complimentary way to work, one that fosters the integration of both the divine masculine and divine feminine in every participant. We have a heart-felt mission to create a nourishing environment in which to experience this sacred personal work. Our guests are served healthy, diet friendly delicious meals in their own private dining area prepared by our dedicated kitchen staff. Each meal consists of only locally-grown and lovingly prepared organic farm-to-table ingredients. "Partaking in ceremony for the first time was a beautiful experience, and I have Scott and Caro to thank for that. To take the plunge and decide to do this work is no easy feat, however, with the two of them as facilitators I was able to move forward in my spiritual and emotional journey with comfort and security, knowing I was in safe hands." 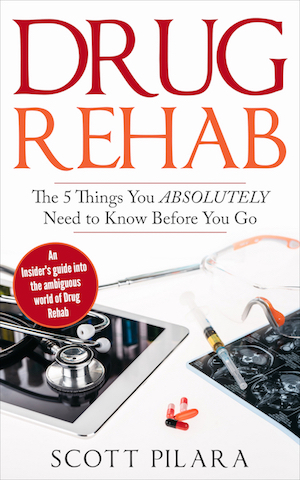 Scott Pilara, an author and pioneer in the field of personal development and addiction treatment, began his journey working with plant medicine in 2014, when a colleague invited him to a drug and alcohol treatment facility to observe how medicinal plants can be used within that context. While there he witnessed the efficacy of master plant medicines in treating behavioral and mental health concerns, spurring his passion to work with sacred medicinal plants ever since. After spending prolonged periods of time in the Amazon training with Shipibo healers to further his knowledge and relationships with plant medicines, he has become a firm believer that medicinal plants are our allies in healing and growth, and it is his sincerest joy to hold space for others to explore this ancient wisdom for themselves. Carolina "Caro Luna" has accumulated over a decade of experience working with indigenous cultures and plant medicine in Latin America. For the past seven years she has held leadership positions in ceremonial settings and retreats in Peru, Colombia, Mexico, and the UK. 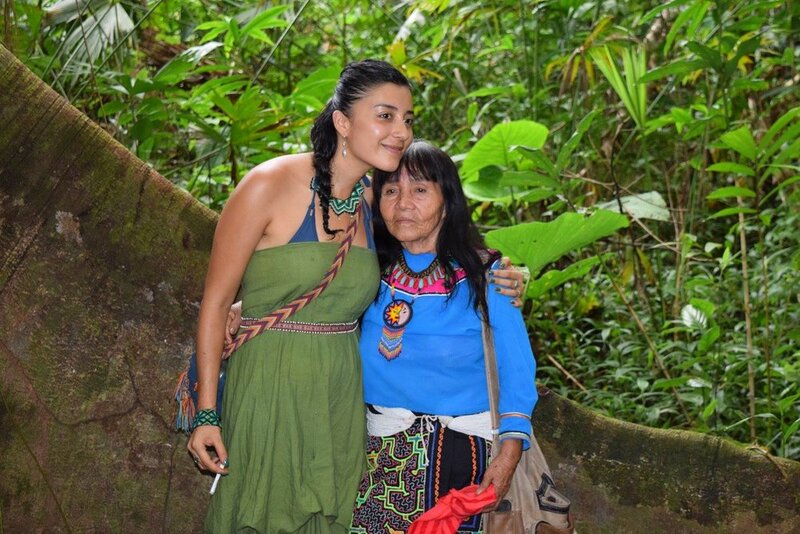 She has guided over a thousand first time and experienced participants in medicinal work with ayahuasca and peyote as ceremonial practices, as well as facilitated Elemental Shamanic breath-work workshops and seminars. As a Latin American with Western upbringing, she sees both her identity and work as a bridge between cultures and approaches, but also as a platform from which to create new spaces of dialog in the spirit of radical transparency, authenticity and growth. The retreat center is nestled in an oasis of native plants and fruit trees that are nourished by a magnificent waterfall. The property consists of a large Spanish style house, a smaller house with a pool, traditional adobe bungalows, a stunning Maloca, massage rooms, a sauna, temazcal (sweat lodge), a cold plunge pool and a fire pit. There is also a private dining area for the group (with a dedicated chef and kitchen team) as well as two living room spaces each with fireplaces, and of course, the gardens and swimming pool for you to enjoy. The Sacred Valley of Peru is located in the Andes Mountains. It is home to the twelve mountains known as “Apus” — “luminous beings” who are said to intercede on behalf of people. They are acknowledged as sacred spirits, each with their own identity and unique energy. 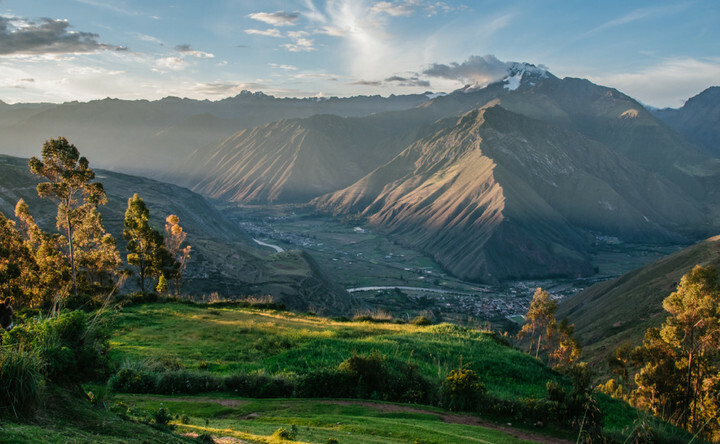 Those who come to our retreat will have the opportunity to commune directly with these mountains, as well as with the master Shipibo healers who engage with us for ritual and ceremony. We believe our world today benefits greatly from contact with these ancient sites, practices and shamanic traditions, and the Sacred Valley is an ideal location to participate in this type of ceremonial work.